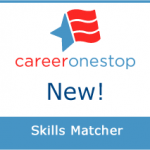 CareerOneStop’s new Skills Matcher provides career options that match your current skills, helps identify the skills you have, and strengthens your skills awareness as you plan next steps for your career. 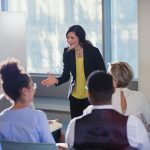 Whether employers are hiring someone to make sandwiches, sell shoes, run science experiments, or repair plumbing—communication skills are always on the “must-have” list. But, what exactly do employers mean by “communication skills”, and how can you tell if you have them? Soft skills—also known as work-readiness skills, people skills, or essential skills—are the skills you can’t put down on paper. Soft skills are what make someone a good employee and easy to work with. You may have heard that learning new skills is a great way to advance in your career. But what specific skills should you focus on? Career assessments that help you identify your skills, interests, or values can help you choose a good career fit.